Planting tulip bulbs in the fall is a quick and easy way to ensure beautiful spring flower beds. With a vast array of colors, sizes, and shapes, tulips offer their show-stopping blooms to growers of all skill levels. While many are most familiar with the single form, types such as peony tulips are another welcome addition, adding both visual interest and additional bloom time to spring flower beds. What are peony tulips? Peony tulips are a type of double late tulip. 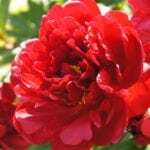 As the name implies, the large double blooms resemble that of peony flowers. These double-petaled blooms are known to last much longer in the garden than their single flowered counterparts. 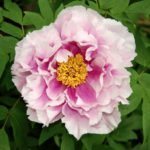 Their size, in combination with their fragrance, makes peony tulip flowers excellent for use in both landscaping and for use in cut flower arrangements. Additionally, container planted peony tulips look stunning when grown near front porches and in window boxes. Gardeners in zones USDA zones 4-8 should plant double late tulips in the fall each year. Though the plants are technically perennials, most growers treat the flowers as annuals, as repeat blooms are sometimes difficult to achieve. Since tulip bulbs require a consistent chill in order to flower in the spring, growers in warmer climates may need to purchase “pre-chilled” tulip bulbs to successfully grow this plant. In the fall, prepare a well-draining garden bed and plant tulip bulbs according to package instructions. As a general guideline, bulbs should be planted twice as deep as the bulb is tall. Cover the bulbs with soil and a light layer of mulch. Bulbs will remain dormant throughout the fall and winter. Growth should begin to emerge from the soil in late winter or early spring. As with most tulip varieties, growing peony tulips is relatively trouble free. Though tulips seldom suffer from disease, they are often eaten by common garden pests such as rodents and deer. For best results, plant bulbs in containers or protected areas.